USCG Master Captain Drew Downing ensures you a safe, fun-filled day on the water. 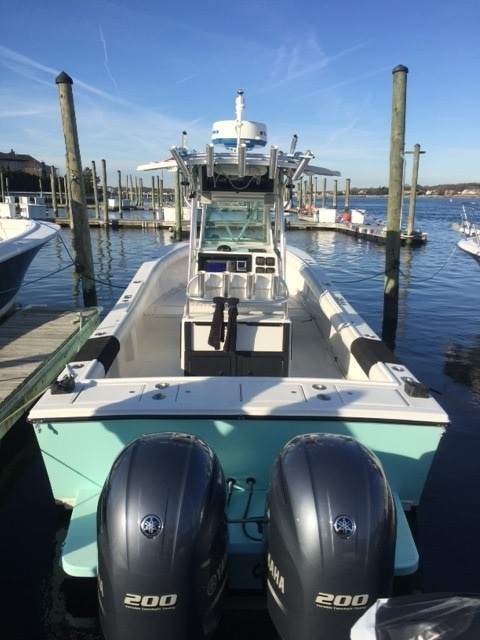 Down East Charters employs a fully customized boat designed for our fishing grounds, a 26' (29' LOA) Regulator Marine Classic, F/V Isla Grace. This is one of the safest and most rugged boats of all-time. This is our go-anywhere, do-anything fishing machine. It has an open deck layout ready for casting and jigging with tons of storage. Redundant commercial grade electronics package including auto pilot and full offshore safety. Two F200 Yamaha four strokes that are whisper quiet with a 400mi range. This is a boat you want to be on when we start the daily hunt offshore for Tuna or Bass. Down East Charters fishes high quality equipment. We carry medium/light action vertical jig, live bait, and casting spinning rods with braided line from Daiwa and Ugly Stik and casting and rip fly rods from Orvis and Hardy. We primarily fish cast and jig style with multiple anglers in the water at the same time and a great fight from hooked fish. We only troll and mooch when its most effective. Outfitting the boat with different combos means multiple approaches throughout the day and tide. Flyrodders: We love to fly fish and are passionate about it! Please let us build a trip for you. 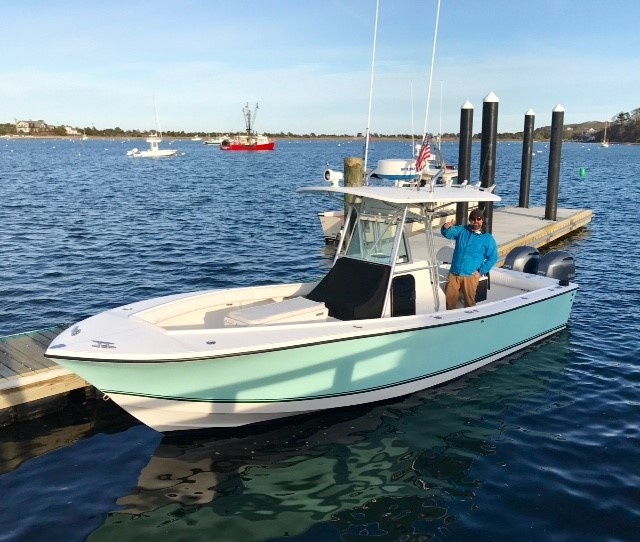 NEW FOR 2019: We have access to a 20' Hewes flats boat for 1-2 angler sight-fishing and skinny water trips on Monomoy. Cast or wade-fish tidal creeks to schools of Stripers in the shallows. Please inquire early spring as our best dates in May and June fill up fast! Our 26 Regulator also has a large open casting deck perfect for the long rod. The perfect setup for the squid run down in the Rips. I have a few nice setups but feel free to bring your own gear if you'd like. An 8-9 wt with intermediate or fast sink does the trick. We do keep local high quality flies onboard and at your disposal as well. Get a hold of us if interested. Multi-Boat Trips: Have a large group and want to do something fun? We can coordinate. We fish multiple boats in the same areas and tag-team the fishing grounds. Don't go on a party boat. Have the party on our boats. We can arrange multiple high-end center consoles with great local captains that you will have all to yourselves. Partnered below with Capt. Matt and Bluewater Entertainment. Call for pricing and options. 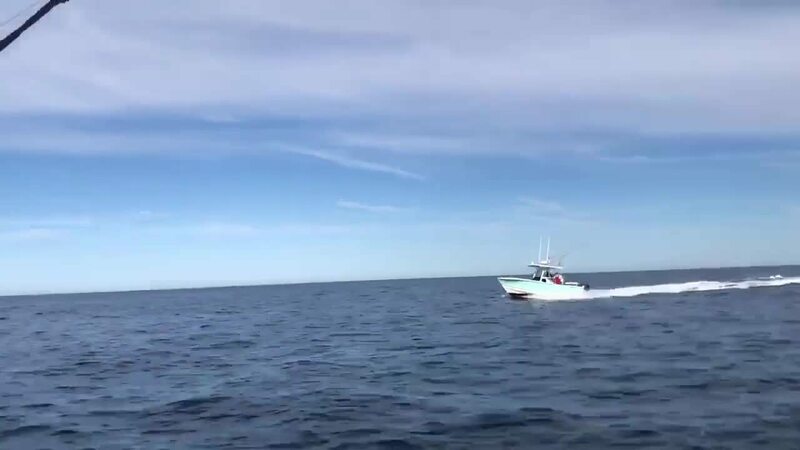 Late April-Early May: (1) Squid jigging season in Nantucket Sound! Let us take you out and fill buckets with squid. Eat some, freeze some, fill a bait freezer. A blast for kids and a great way to get the season underway. 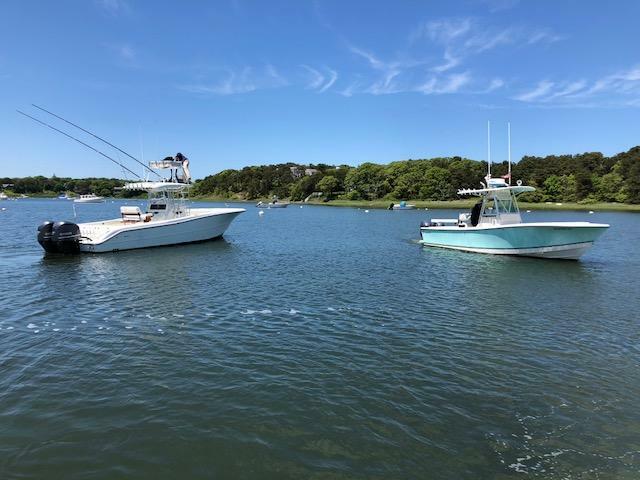 May 15-Jun 1: (1) Jumbo Sea Bass and Scup bottom fishing with light tackle and jigs in Nantucket Sound. Great for kids and families and delicious table-fare. (2)Light tackle and fly fishing for early run bass in the harbors. 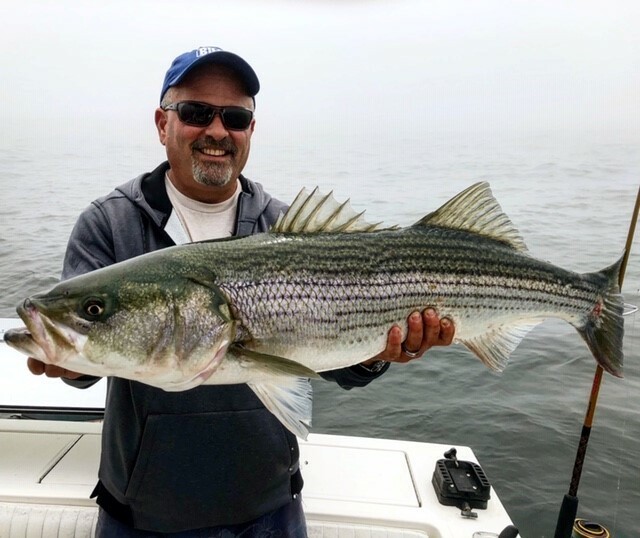 Jun 1-Jun 20: (1) Best sight-fishing of the year in Chatham for migratory Stripers. 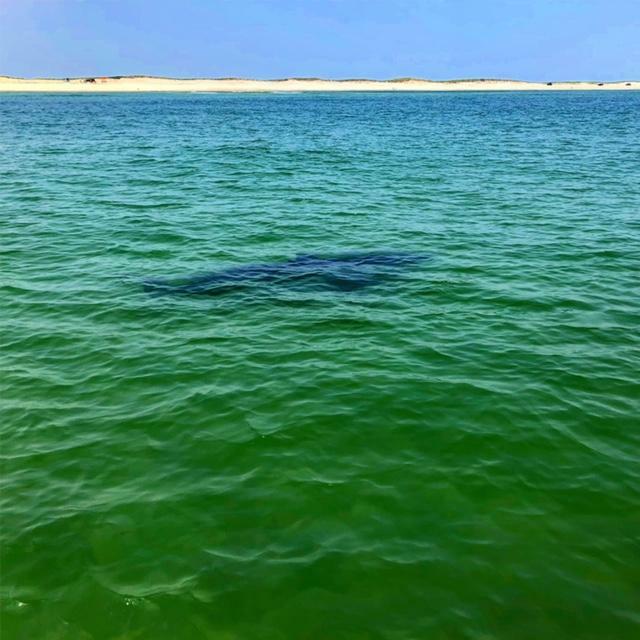 Difficult and rewarding, fisherman have a chance to see and cast to bass on the flats of Monomoy and south cape beaches. (2) Epic topwater Striper fishing on plugs and the fly off of P-Town and Cape Cod Bay. A little longer run but well worth it. (3) Early run Tuna most years. Great chance at Bluefin Tuna to the east of Chatham on the troll and with topwater stickbaits. The king of gamefish in the northeast. This fishery remains steady throughout the summer. 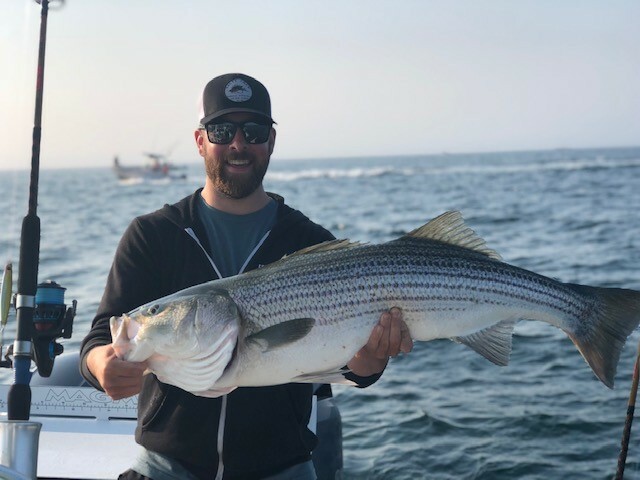 Jun 20-Oct 15: World-Class Striped Bass and Bluefish fishing locally up and down the beach and at the Monomoy Rips. Sept 1-Nov 15: (1) Last three weeks of September offer great False Albacore fishing in Chatham. Truly a test on light tackle and light crowds. (2) Tuna fall migration. Great chance at BIG Tuna close to the beach on a variety of tackle. 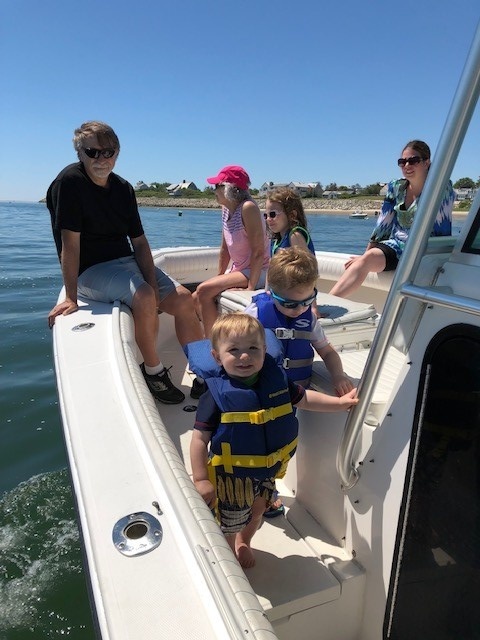 Captain Drew Downing grew up spending every summer on Cape Cod and developed a passion for boating and fishing at a very young age. Whether it be fishing, surfing, clamming or cruising, he is always on the water! 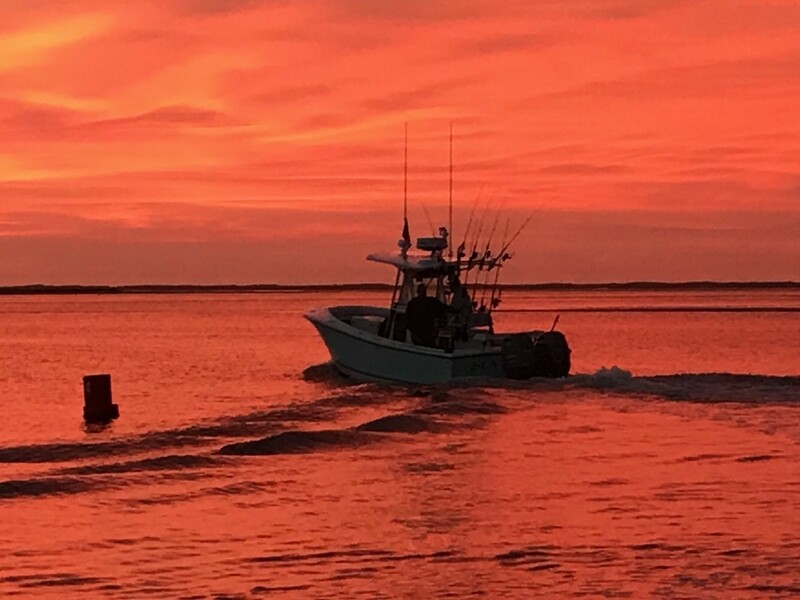 If you are an experienced angler or a novice and never have had the pleasure of fishing before, Captain Drew will take the time to show you the ropes. There is always something new to learn and experience when you leave the harbor, and it's all about having fun out there! Drew has had the opportunity to live in Vermont, Florida, Wyoming, New Zealand, and Hawaii. Founded in river fishing for Trout and Steelhead, Capt. Drew has spent time chasing all kinds of fish all over the world. Experience in different styles of fishing helps Downeast Charters' anglers learn new tactics and patterns to take to their own home waters. We relish the opportunity to get you onboard and start telling fish tales! Capt. Drew splits his time between Chatham and northern Vermont with his wife Erika, daughter Isla, sons Zane and Reid, and mutts Bodie and Riggs. -A Great Attitude--It's Going to be a Blast!